Consider some of these inconvenient truths: In Uganda the glaciers of the Ruwenzori Mountains will be gone in 2025. Colombia's glaciers will disappear around the year 2022. The glaciers in Glacier National Park (Montana, USA) will be completely gone by the year 2020. Future generations will grow up in a world without these glaciers. Needless to say that it is time to wake up and act. 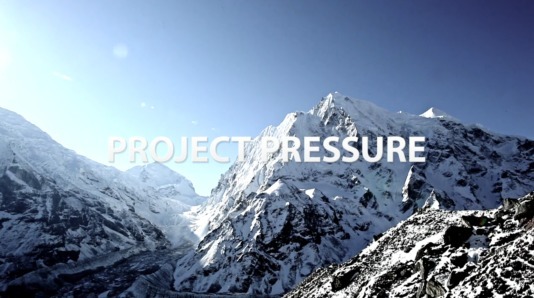 Since 2008, the Project Pressure focuses on leaving a legacy of the world as we know it for generations to come. How? By capturing geo-tagged photographs at glaciers around the world. The aim is to document the glaciers as part of a visual archive of how planet earth once was. The really amazing thing about the collaborative Project Pressure is its openness. The non-profit project is working on what will be the world's first crowdsourced glacier atlas and an open source digital platform. Beyond accessing a collection of incredible, free-to-use images, scientists, researchers, educators and local communities will be able to contribute to the digital platform by uploading new or archival images – generating a unique open source resource of comparative photographs (Project Pressure 20013). Fairplanet's favorite: Check out Project Pressure Director Klaus Thymann's incredible photos of the world's clearest lake. Nature (and photography) at its best! Blue Lake, in New Zealand's South Island, is located in a conservation area, and is sacred to the local Maori tribe, who had to be consulted prior to the diving/photography project. Wondering how clear exactly this lake is? Under water visibility of up to 76 metres has been scientifically verified.